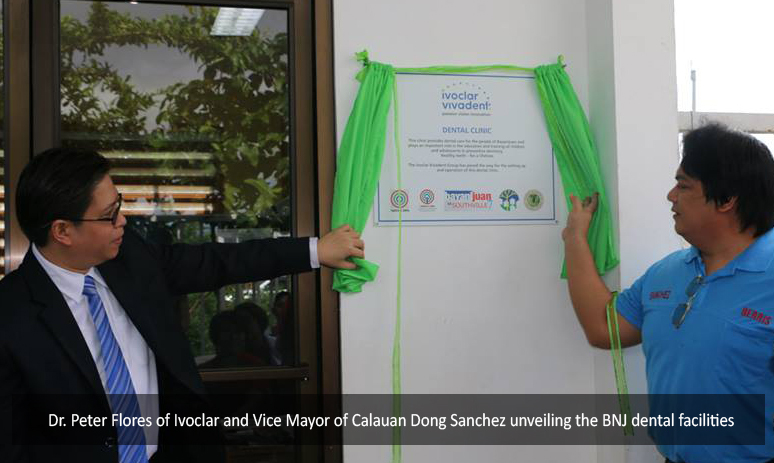 The community of BayaNiJuan sa Southville 7 can now have healthier smiles as the Ivoclar Vivadent Inc. inaugurated its own dental facilities, having it as one of the community’s newest health facility. Ivoclar Vivadent Inc. is a global leader in innovative materials and processes for quality, esthetic dentistry that has headquarters in Schaan, Liechtenstein which serves dentists and dental laboratory professionals across the globe that granted the wish of the BayaNiJuan community to have its own dental clinic. 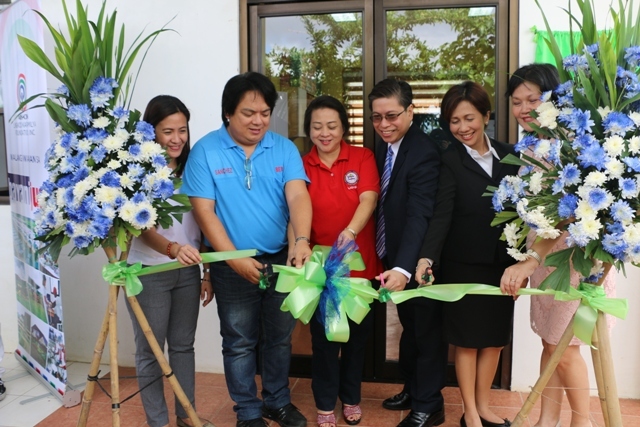 Back in 2009 when the community was launched to be a resettlement area to house 5,000 families from Metro Manila who used to live along the esteros or who lost their homes after the havoc caused by different calamities and typhoon, the only health facility in the community was the clinic - SM Wellness Center, donated by the SM Foundation. For the residents who need dental care, they still need to go to Calauan’s Rural Health Unit which is outside the community. 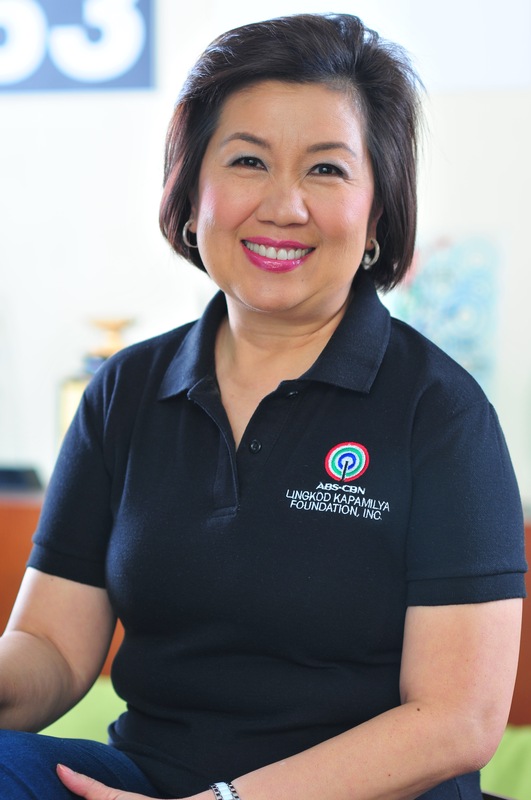 The dental services in the RHU are for free except for the anesthesia that costs around 90.00 pesos for the patients undergoing tooth extraction. 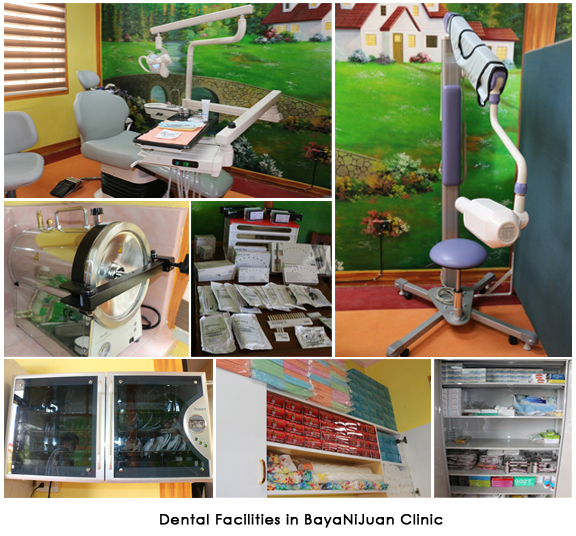 But with the new dental facilities in BNJ’s community clinic, everything comes for free. It is not only the free service that gives a smile to the residents but also the top-of-the-line dental equipment given by Ivoclar Vivadent Inc. It includes a dental chair that comes with LED light that is powered with a sensor to avoid cross infection among patients, autoclave for sterilization of dental equipment, and a dental x-ray machine. The cabinets in the clinic are also filled with medicines, syringes, masks and other dental needs. Aside from the dental facilities and equipment, part of the agreement is, a dentist and a dental assistant will be provided. 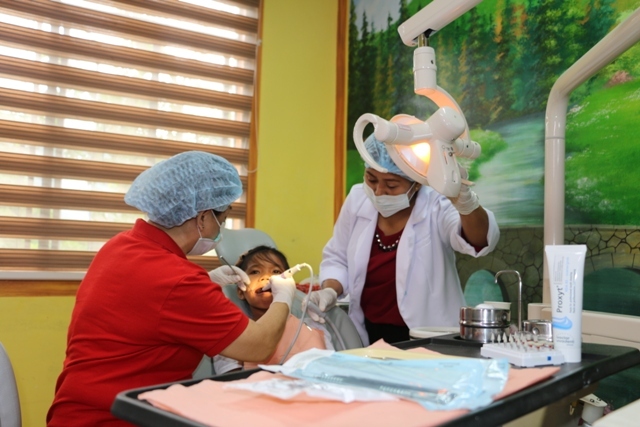 Christine Joy Ruth Dela Cruz, 10 years old, is the very first patient of the dental clinic. She sat on the dental chair to undergo oral prophylaxis treatment.